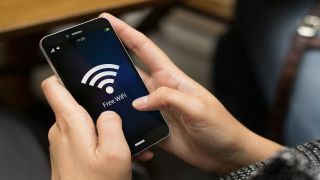 The Wi-Fi Alliance has reiterated calls for adequate levels unlicensed spectrum to be made available to the wireless industry, arguing that Wi-Fi contributes $1.96 trillion (£1.49tn) to the global economy, a figure which is set to increase to $3.47 trillion (£2.64tn) by 2021. Its survey into the economic impact of the technology takes into account factors like Wi-Fi’s role in improving consumer choice, creating new business models, improving access to communications services, complementing cellular and fixed broadband to boost their effectiveness. Six individual countries were also assessed – the UK, US, France, Germany, Japan and South Korea – with the results claiming Wi-Fi contributes $54 billion (£41m) to the UK economy and $499 billion (£380bn) to the US. It hopes the survey will shed a light on the role of Wi-Fi in the economy. The Wi-Fi Alliance promotes the interests of wireless Internet vendors and certifies Wi-Fi products. Its members rely on the availability of unlicensed spectrum and works to protect the bands they use at a time when the mobile sector calls for more and more airwaves to support mobile broadband, including 5G. GSMA, the mobile industry body, engages in similar lobbying activities for its members.